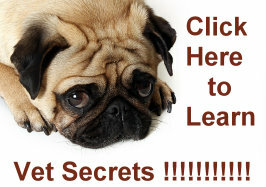 This compilation of Pug facts will give you a quick overview of this adorable breed of dog. Just as an additional note, in England this breed was known as the Dutch Pug. The reason for this will covered below. The Gaelic name for the Pug is Smutmhadra. In China, hundreds of years ago, the Pug was called Ha Ba Gou. These Pug facts are taken from the book on Dog Breeds by Desmond Morris. This is an excellent book that is filled with fascinating information on over one thousand different breeds. Color: According to the American Kennel Club, the only recognized colors are fawn and black. Each type has the familiar “black mask” which should be very distinct on a fawn colored Pug. There is also a silver color that is referenced and that actually dates back to the middle of the 19th century. There seems to have been a rivalry between two separate breeders. The Morrison breed was the golden or apricot fawn coloring that is the most popular. A silver fawn, sometimes referred to as a stone fawn, was the type known as the Willoughby breed. The distinction has become less over time. The black Pug made its formal introduction in 1877 and became recognized as a separate variation of the Pug in 1896 by the Kennel Club in London. Name: There are many theories on where the name “Pug” came from. One of those theories states that Pug is taken from the Latin word “pugnus” which translates to “fist”. Presumably, this refers to the shape of the head. Another theory is that Pug can be traced to the fighting dogs of ancient times called the Pugnaces. Many people think that the Pug is a dwarf version of this dog. Another theory dates back to an 18th century meaning of the word “pug” which meant “anything tenderly loved” and that certainly describes almost any Pug when it comes to their owner. The affection between dog and owner for this breed is quite strong. It does seem that Pugs were meant to be companions and their loyalty and love for their owner is truly remarkable. Also in the archives of Pug facts when it comes to their name is that, at various times, the word “pug” meant “monkey” and the shape of the head could be considered monkey-like. We think the Pug profile is quite distinctive and makes them a particularly handsome breed. “Pug” also has meant hobgoblin or imp and if you take that meaning to the features of a dog, it could mean a dwarf animal. That coincides with the impression that a Pug looks like a compact version of a bigger, more muscular dog. No page of Pug facts would be complete with some theories on where the Pug originated. We say theories because no one can know for sure. This breed goes back more than a thousand years and has changed over time. Most historians agree that the Pug originated in China. In Western China around 700 B.C. the breed was known as Lo-chiang-sze and that became shortened to Lo-sze. There are also some who suggest that the breed originated in Egypt but, again, China seems to be the most agreed upon country of origin. We know the breed was a favorite with the monks in Tibet and was eventually brought to Europe. William and Mary of Orange were among the first notable owners of the Pug. In fact, the Pug has been known as a favorite of Royalty and became a symbol of the House of Orange. When William and Mary took over the English Throne in 1688 they brought their Pugs with them and this breed became quite popular in England in the late 17th century. They have remained a popular breed in England ever since. In fact, they were the most popular breed in that country in the middle of the 18th century and then again during the age of Queen Victoria who also favored the Pug. The Pug Dog Club in England was formed in 1883 and the standards drawn up for the breed at that time are still in effect today. The American Kennel Club standards closely reflect those from England. The ancestry of this dog is a little bit of a mystery although there are many theories. Keep in mind that these fall into the category of Pug Theories rather than Pug Facts. We know one theory is untrue: it is not a bulldog in miniature. The comparison of the skulls tells us that this is not the case. Nor do we know if it is the long legged, smooth coated relative of the Pekingese breed. The truth is that we do not really have to know these things. The Pug is an adorable dog who is perfect household companion. The dog is lovable, loving and non-agresive. But he does expect to be a companion. Don’t think for a moment that he will be content to be by himself. No, this dog wants your company and your attention. The Pug is great with children as long as they are gentle and careful. Pugs are prone to eye injuries and have some breathing problems in the heat or if they’re over worked. They do need some attention in the grooming department because of their wrinkled face and the fact that they are prone to shedding. They are not known as barkers unless they sense danger for their owner. There are exceptions to every rule but training can take care of the barking. Their weakness? Pugs are an eating machine. It seems that they have an insatiable appetite and, left to their own devices, will become overweight. It is not uncommon to see a Pug tip the scale at twenty plus pounds which is well over their recommended range of 14 to 18 pounds. We have more Pug facts concerning their appearance elsewhere on this site. The bottom line is that one of the most important Pug facts of all is that this is an adorable dog who requires a lot of love and attention. If you want a cute companion who will gladly return all the love that you give it, you cannot do better than making a Pug a part of your life. That is one of the most important Pug facts of all.